Cause You Are My Baby, Baby! 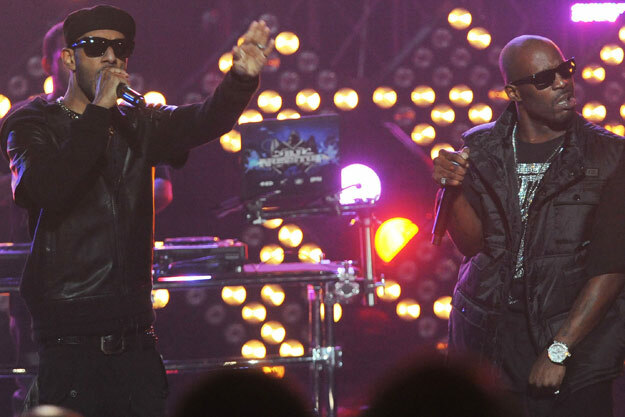 Watching the BET Hip Hop Awards took me back to some memories. I will never forget when I fell in love just a week before my 12th birthday. He was my first rapper. It was summer 1998 and I was laying on the carpeted floor watching MTV Jams (the summer edition) with my sister while visiting my dad in Las Vegas. This video came on with a melodic voice, Faith Evans, and this chocolate, bald, rough rapper with a deep raspy voice that was kind of low to match the music. His name was DMX. The video was How’s It Going Down. I had never heard of him before because I didn’t have cable when he came out earlier that year. I was in love though and he was my Maaaaannnn! Looking back, what was I thinking? *laughs to self* I mean I could use the excuse of being an adolescent but this love lasted until Kanye West hit the scene. I was a ride or die fan no matter what the media said about him. I use to be so disappointed every time he was slated for the VMAs and didn’t show up. Eventually, all the ups and downs (including jail) he became out of sight out of mind. It’s sad to think about it because I had just about all his albums, his autobiography, and a huge poster of him on my bathroom door- so I could see him as soon as I woke up. I began to like Kanye, but when that poster fell down in late 2004 from the tape getting old I truly believe it was the demise of what we had. Seeing him perform a few of his biggest hits with Swizz Beats alongside him on stage took me all the way back. I truly loved me some him. The other teenage memory was brought about when LL Cool J was being honored. My first boyfriend/love and I had what became an inside joke between us to I Need Love. Anybody who’s ever had an intimate relationship knows that inside jokes are apart of what makes it intimate. I can’t remember how it got started but at some point when I would get mad at him he would start rapping “when I’m alone in my room…” and we would just bust out laughing (moreso me than him with my goofy self). Well that’s about it for my walk through memory lane. Share your thoughts on the awards. Do you have any good memories from hip hop songs or artist?